Pastry as we know it today – in all its crumbly, flaky, buttery glory – is a far cry from where it all began. 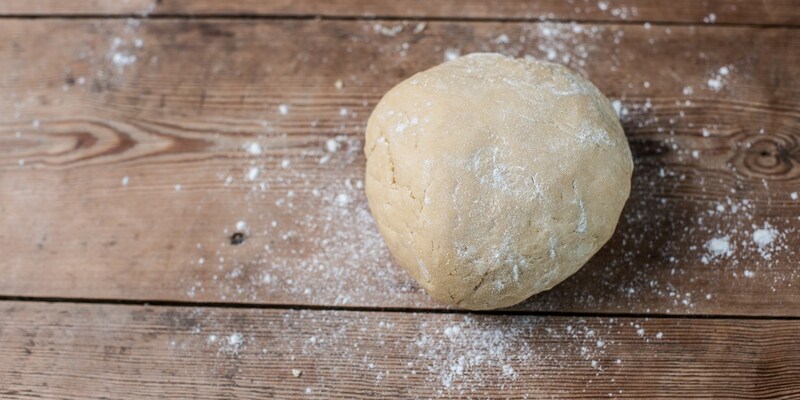 With so many regional variations and international influences putting their marks on pastry in Britain, this humble dough has taken a truly remarkable journey through the culinary world. 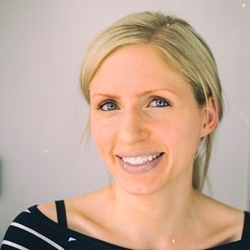 Clare juggled a love of food and passion for spreadsheets when she was Content Producer for Great British Chefs. As usual, many of the greatest creations in the world can be traced back to ancient and classical times. The ancient Egyptians gave us hieroglyphics and papyrus, the Greeks philosophy and democracy, the Romans military tactics and aqueducts (a whistle-stop tour of history), but it is thought they also all used types of pastry. Utilising the natural sweeteners available, it is believed that the ancient Egyptians, Greeks and Romans all used a filo-type pastry (a simple mix of flour and oil) to create honey cakes, fruit pastries, sweet tarts and dumplings stuffed with dates and nuts. Evidence of these sweet treats can be seen on ancient tomb paintings or mentioned in writings such as in the comic plays of Aristophanes. Moving forwards the Romans created a basic pastry dough that was used as a covering for meats when cooking. The plain paste of flour, oil and water was used as a shield to keep the meat moist and also protected the outside from burning – it was never meant to be eaten and was subsequently discarded. It seems that the main factor holding back ancient bakers (they were not wanting for ingenuity or creativity) was the lack of butter or lard to create the richness we associate with pastry today. It’s not until the late Medieval period that we start to see fuller pastry recipes that resemble the shortcrust and puff versions we are more familiar with. The Forme of Cury is the earliest known English language cookbook, thought to have been written at the end of the fourteenth century, and it refers to the making of chastletes and coffins – early pies and tart cases. A lot of these early recipes, particularly through the fifteenth century, include egg yolks and saffron to add colour to the dough. From here we get the development of the hot water crust pastry and hand-formed game pies became popular as table centre-pieces, and were often associated with banquets and galas. In the seventeenth century, pastry-making became increasingly fashionable – British bakers prided themselves on the techniques and elaborate decorations used for their creations, and were inspired further by the culinary developments happening across the Channel. Puff pastry was supposedly created by French painter and apprentice cook, Claude Gelée, in about 1645, when he accidently created a laminated dough when trying to make a form of rolled butter cake for his sick father. The earliest British version recorded is from 1692, with a hand-written manuscript describing Hannah Bisaker’s recipe for ‘puff paist’, which tells the reader to ‘lay some Butter in litle Pecies’ over the flour dough, before folding and rolling three times. French pastry master, Marie-Antoine Carême (1784–1833), is widely considered to be the first ‘celebrity chef’, bringing pastry into the world of grande cuisine. His elaborate creations graced the windows of his Paris patisserie shop, before he went on to cook for European leaders including George IV. The glamour and splendour associated with these rich, buttery confections helped grow the popularity of French pastry desserts as the epitome of fine dining. We certainly have a lot to thank them for, from Carême’s development of the layered Mille-Feuille (a ‘thousand leaves’) and the kitchen mishap that resulted in the tarte Tatin, to the traditional fillings of crème pâtissière and frangipane, many of our modern recipes can be linked to the kitchens of France. Once pastry-making became a firmly established practice in British kitchens, many regional variations began to take shape. For savoury options, the Melton Mowbray pork pie and the Cornish pasty are the most well-known, both now owning protected food status due to their culinary heritage. Like the early game pies, the pork pie features a raised hot water crust pastry containing a pork filling and a set jelly, or aspic. These are thought to have developed particularly around the Melton area during the 1700s due to the growth of cheesemaking and foxhunting. An unlikely pairing, but increased cheese production meant an excess of whey, which made fantastic pig food, and boosted the local production of pork. Handily packaged in pastry for labourers, these were noticed by visiting huntsmen and thus word of these little pies travelled further afield. In a similar portable-pastry vein and at roughly the same time, the Cornish pasty also gained notoriety as a worker’s packed lunch, this time for Cornish coal-miners. Although versions of a pasty-type dish date back to the 1300s, the durability of the pastry case, cheap meat and vegetables used for filling proved perfect for the poorer, working-class families labouring in the mines. The Bedfordshire Clanger took this one step further, with a suet-pastry case enclosing both main and dessert in one package, a savoury filling at one end and sweet at the other. You are unlikely to find a kiosk selling Bedfordshire Clangers in your local train station, though – these failed to catch on with the same level of success, and have since faded into obscurity. The rise of the sweet tart provided more fodder for interpretation, with custard fillings often forming the base. The word custard itself derives from both the Anglo-Saxon word ‘crustarde’ (a tart or pie with a crust) and the French word ‘crouste’ (crust). One of the most famous versions is the Manchester tart, where the custard covers a layer of raspberry jam and is then topped with desiccated coconut. Also from the north-west is the Liverpool tart (with a sweetened lemon filling) and the Eccles cake (a mix of spiced dried fruits encased in puff pastry). The Derbyshire town of Bakewell gave its name to the almond-filled Bakewell tart, although the earliest recipes, such as from the iconic Mrs Beeton’s 1869 book on Household Management refer to a richer Bakewell pudding, made with puff pastry rather than the shortcrust we know today. From portable case to show-stopping centrepiece in just a few hundred years, pastry has come on quite a journey from its humble beginnings. Once considered a mere utensil, these days it is used more as a delicious culinary canvas for increasingly creative toppings and fillings. The choices today are almost mind-boggling, with pies and pasties, quiches and tarts available with almost any filling or flavour; from classic recipes to new fusion creations… it’s hard to believe the Romans used to throw their pastry away.